In the late Edo period (1603-1868), Yanagibashi, nearby the Ryogoku bridge, was Tokyo’s main geisha district. The advent of the Meiji era (1868-1912), however, brought a new elite, more focused on money and power, who showed little interest in the traditional values of Yanagibashi. They favored the geisha quarter of Shinbashi (also Shimbashi). It was situated close to the new government and office buildings that were springing up like mushrooms, neighboring the rebuilt and thriving Ginza, and lay right on the doorstep of Tokyo’s main train station, Shinbashi station, opened in October of 1872 (Meiji 5). 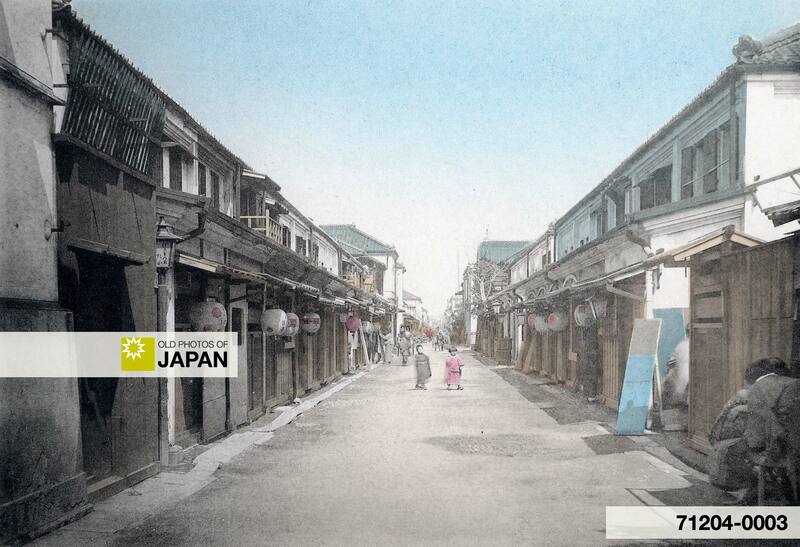 The Shinbashi geisha district had been around for a while, but didn’t really come into its own until the 1880s. Located right in front of Shinbashi station, which initially connected Tokyo to Yokohama and thereby the world, and later to Western Japan as well, it was perfectly located as a receptacle of the new things and ideas that flowed into Japan during the Meiji Period. Soldiers returning from wars against China (1894-1895) and Russia (1904-1905) were welcomed here by Shinbashi’s elaborate celebrations of Japan’s victories. 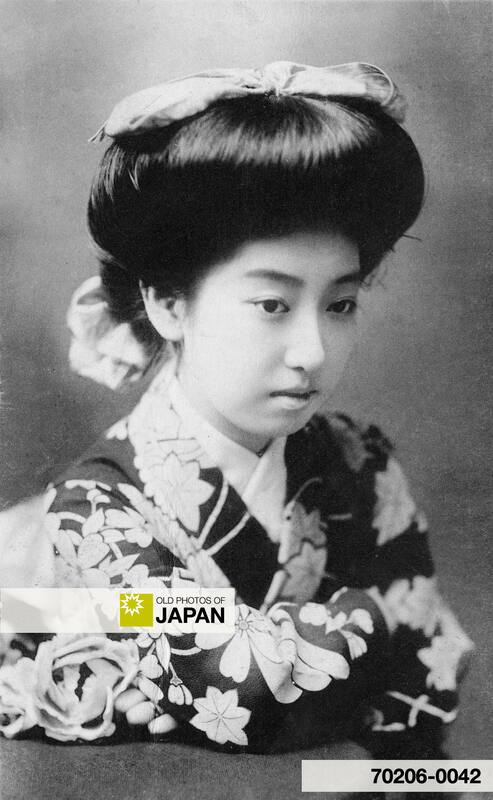 Being the watering spot of the Meiji elite, it was even more intensely patriotic, if that was possible, than the rest of Japan. It was to Shinbashi where the people of Tokyo, and the many visitors who came to gawk at Ginza Bricktown, went to relax and drink. Compared with the modernity and wide emptiness of Ginza, Shinbashi’s old-fashioned and narrow streets made them feel comfortable and at home. In 1914, Tokyo Station was completed and became Tokyo’s “central station.” Shortly after, a new Shinbashi station was built to the West of the old one which was converted into a cargo terminus. In spite of all these dramatic changes, the Shinbashi entertainment district managed to survive. Kotoyo (left) and Kiyoka, two Shinbashi geisha. Photos by Kazuma Ogawa, 1902. Favored by the materialistic new elite, Shinbashi attracted women just as ambitious and ruthless as their clients in their aspiration to rise to the top of their profession. They lived and worked in a world of complex etiquette and rules, extravagant kimonos and a social maze of customers, dana (patrons), kabuki actors and pretenders. Life for these women was extremely demanding. When a geisha contracted with a house, a payment was usually made to a broker. It was up to the geisha to repay this “debt,” which quickly grew as the need for expensive lessons, instruments and kimono meant ever growing expenses. They were very much like indentured servants vulnerable to exploitation by both their houses and their male clients. The tough world of the Shinbashi Geisha was described by Japanese author Nagai Kafu (1879-1959) in his novel Rivalry (腕くらべ, Ude Kurabe, 1916-1917).1 Although the book is not one of Kafu’s best novels, it is considered to be one of the best descriptions in Japanese literature of the convoluted politics and business system of the Shinbashi geisha district. Today’s Shinbashi is far removed from the one shown in the above image. It is a jumble of high-rises that compete with each other to be the tallest or the most modern. In 2003 a reconstruction of the first Shinbashi Station was opened. It looks terribly small, lost and out of place in the surrounding jungle of concrete, steel and glass. 1 The first complete English translation of Kafu’s Ude Kurabe is Rivalry: A Geisha’s Tale, translated by Professor Stephen Snyder. Columbia University Press (August 30, 2007) ISBN 0231141181. You can also licence this image online: 71204-0003 @ MeijiShowa.com.